Browse Artists and Groups Edwin Holgate, R.C.A. Edwin Holgate was a rather shy and private person. His father had been an engineer, building railways, principally in Cuba. He left Edwin well off financially. Holgate and Jackson had served in the first war and had remained friends. 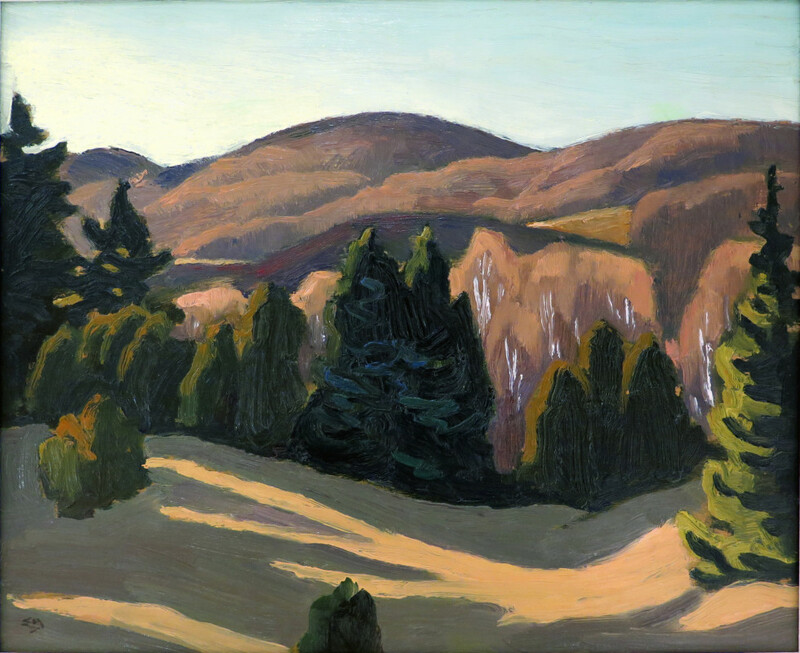 He was one of the members of the Group of Seven who had joined at a later date, not as one of the founders. He was one of the two painters of the "Group" who also painted portraits, the other being Varley. Some of the Holgate portraits are quite marvelous. 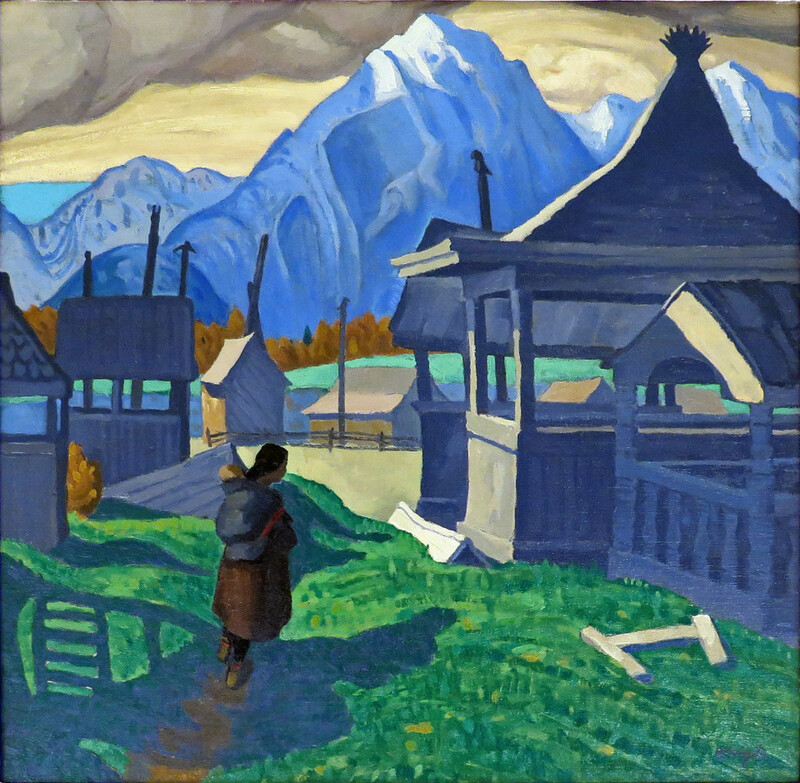 I visited the Holgates frequently at Morin Heights where he had built a fine house on a site selected for him by "Jackrabbit" Johannsen, who also became his contractor and of whom he painted a famous portrait, now in the Montreal Museum. I purchased as many paintings from him as I could, which was usually not easy because he really did not like parting with any and did not need the money. His wife, Frances, with whom he lived in the greatest harmony, was not allowed to enter his studio and she never knew what he was painting until it was finished. She had been an accomplished concert pianist but when I knew them she had given up playing. Holgate was highly respected by other artists. This is an important sign because artists, even if jealous and difficult of temperament at times, do recognize one another. Only a real artist can produce real art. Pilot often told me, "anybody can learn to paint, not everybody can be an artist." Holgate had made some wonderful wood engravings, a discipline he had once taught at the Montreal Museum. He still could make some prints within his limited edition and I bought them when I could. Eventually he instructed me to give the woodblocks to the Museum as a gift and for study by students and artists. We acted as executors for the little that was left after the death of the artist, and we kept in touch with his widow. Please send me more details about the following artist. Edwin Holgate, R.C.A. inscribed in black ink in an unknown hand, "#1057" (verso, upper right). 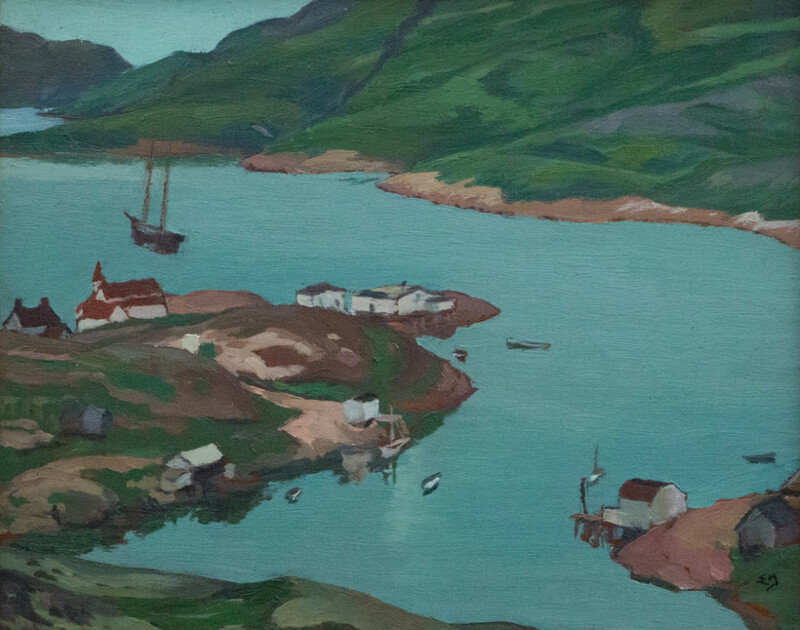 signed, titled, and inscribed in black ink to artist's label verso, "Fishing Village - / North Shore / E. Holgate. / N.F.S. (Not for Sale)"